Violinist turned author, NABBW member Erica Miner has had a multi-faceted career as an award-winning screenwriter, author, lecturer and poet. Read on to find out more about this talented and extremely busy, Baby Boomer Woman. Using one paragraph, tell us a bit about yourself? 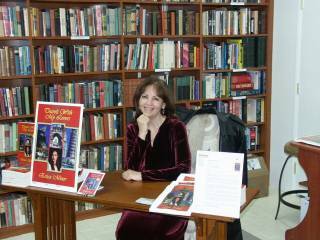 Formerly a violinist with the Metropolitan Opera in New York, I’m now a full-time author, screenwriter and lecturer. My writing has won awards including the Writers Digest for my screenplay, “Hummingbird,” and the Direct From The Author Book Awards Fiction Prize for my novel, “Travels With My Lovers.” My Baby Boomer novel, FourEver Friends, was published in 2009, and my suspense novel, “Murder in the Pit” has just been released! What is your favorite childhood memory that is reminiscent of growing up in the 50s, 60s or 70s? As a classical music “geek” when I was a teenager in the 60s, I remember the startling revelation when I first discovered the Beatles. Talk about a Revolution! They turned all of my beliefs and impressions about music on their heads. What qualities do you have that speak of our generation of women? 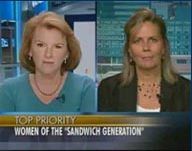 Having grown up with a mom who always worked but expected me to follow a “traditional” route of marriage and children, I did an about-face when Women’s Lib splashed onto the scene. Now I try to provide inspiration for women of our generation to seek and express their freedom in whichever way they choose. These qualities must be the ones that have inspired my daughter to consider me to be her role model, as a mom, a career woman, and as a person. What inspires you? Beautiful music, tranquil scenery, really good writing, and especially people who exhibit the quality of generosity of spirit. What brings you the most pleasure in midlife? Being with my family. Family is everything. This has taken me half a lifetime to discover and to comprehend. Do you have a favorite book or movie? If so, tell us why it’s your favorite. Favorite movie of all time is “Like Water for Chocolate.” It just spoke to me when I first saw it, and still does after countless viewings. It has all the elements of an intriguing women’s story: passion, love, frustration, magic realism and more. I never tire of watching it! Do you travel and if so, who are your favorite travel partners and where do you like to go? I love to travel with my husband, who brings a European sensibility and point of view to all the places we travel to. Plus he is generous of spirit, lively, and fun. Do you practice preventive medicine? Please elaborate. I am a great believer in taking herbs and supplements to boost the immune system. Life is filled with internal and external stresses, and we need all the help we can get. I’m fortunate in having the help of a Naturopath, and also a very wholistically savvy MD. What do you stress about? 1. Getting my writing done 2. Making sure my hubby is happy 3. Trying to be healthy. Is it important for you to retain your youthful looks, and if so, to what degree are you willing to go? Yes, very important; I’m terribly vain in many respects. Not proud of that, but there it its. I’m just not ready to go gray or be fat. I exercise a minimum of 1 ½ hours per day, I always use sunscreen, even on cloudy days. I drink lots of green tea and take antioxidants. I’m open to any new developments relating to the Fountain of Youth – though I draw the line at Botox or plastic surgery; those are just not an option for me. Do you plan to retire? Depends on your definition of retirement. I’ve already “retired” from my former profession. But I want to just keep writing, writing, writing, forever. Are you doing anything to GO Green? Nothing out of the ordinary. We recycle everything, try to reuse as much as possible, try to be conscious of saving resources – energy, etc., and especially water, which is a precious commodity in Southern California. Do you engage in any faith based practices? My only “faith-based practice” is a belief in the power of music and in my ability to share my passion for music and story with other people. I’d also add my belief in the power of Journaling to that. Journaling can be akin to a religious experience, and is something that if practiced regularly can help you keep the faith, especially in yourself. Can you pinpoint major turning points in your life that led to your life’s work/play at midlife? 1. As a young mom and career woman, my then-husband left me for another man; this forced me to become independent and self-sufficient in my family life and career 2. Later, when my kids were grown and I had my dream job as a violinist, it was taken away by a car accident that left me unable to play; this shifted the gears of my life from creating music to creating stories. Both of these were major contributors to my present place in midlife. Do you still have unfulfilled dreams, and are you doing anything to accomplish them? I guess my major unfulfilled dream is to have one of my screenplays made into a movie. That’s probably the toughest to fulfill, but it would give me so much pleasure to see other people watching and enjoying my story on the silver screen. I’d also like to see the rest of my “Baby Boomer” novel series published. One of them has made it into print so far – years 1960-63; but from then on it just gets more and more interesting. The story of a young woman’s coming-of-age during the volatile 60s and 70s against the social and historical background of those times is something I consider to be very timely and compelling. I so very much wish to share that with other Baby Boomers. If you were to have a personal mission statement, what would it be? Feel free to be as serious or fun as you choose. To entertain, enlighten, and inform the world-at-large about what I’ve learned after growing up on this planet via my storytelling. That’s all, folks! 😉 Learn more about Erica by visiting her website. 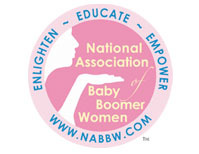 You can also sign up for her teleseminar given by the NABBW on June 17, at this LINK. Update from Erica: For those of you loyal Amazon aficionados, I’m pleased to report that the link is now up for Murder In The Pit. If you read it, let me know and I will quote you on my website.